Welcome to Bournemouth - The city of "Lively Nightlife" and "Sandy Beaches"
As Bournemouth is one of the most beautiful cities located at the South coast of England, it is definitively worth a visit. Its amazing beaches are situated in the East of the Jurassic Coast, which is known as marvellous World Heritage Site. Before the establishment of the first health resorts and the with it connected entry in Dr. Granville’s book “The Spas of England”, there was just nothing in this area. The building of the railway in 1870 boosted the economy of the city and Bournemouth became a recognized town. The location of Bournemouth is really great. That is why it is responsible for the attraction of many tourists. Each year, there are around 5 million tourists visiting the city to enjoy the adorable beaches or to stir up the brisk night life. But people are not only travelling to Bournemouth to relax and to celebrate. Many humans are coming because of the superb Victorian architecture there, which can be observed in one of the local trademarks the St. Peter’s Church. Bournemouth offers great possibilities when it comes to animated night-life. For those who prefer a cosy evening with their friends, there are many pubs and bars to let the day fade away. As karaoke is very famous in Britain, it is nearly a must to visit Heroes Karaoke Bar to have some drinks and sing with one's friends. The Smokin' Aces is also very fitting to explore the typical English night-life. There you can enjoy classical British Whiskey and smoke a cigar or just relax with a cold glass of cocktail. There are also some exclusive bars in Bournemouth like Bar So, which is a premier spot in the city and the winner of the Best Bar None Award in 2008. For those who want to dance all night there is a variety of nightclubs in Bournemouth. The Le Chic is a very glamorous discotheque and attracts many rich people. Most students meet in The Old Firestation to celebrate and to find a balance with their learning tasks. There are also many nightclubs for gays and lesbians like for example the 2930 The Triangle. Bournemouth provides many elegant shops to make one's credit card glow. From large chain stores to individual boutique shopping areas everything can be found. The famous areas known for their shopping facilities are for example The Square, The Triangle or Lansdowne. Bournemouth is also worth a visit if one is interested in culture and architecture. There are many attractions for sightseers, for which visitors do not have to pay. 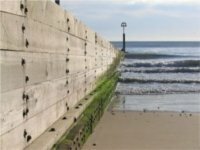 The Boscombe Pier invites to take a walk above the sea and enjoy the great view at the pier. The ones who like nature and beautiful landscapes should absolutely come to see the Boscombe Chine Gardens. There are also some exhibitions, which can be visited for free like the Pine Walk and Art Displays, where one can admire paintings, photography and sculptures. The Russel-Cotes Museum can be examined with a small entry fee. The museum was once the private home of Sir Merton Russel-Cotes and his wife Lady Annie, who were one of the most extensive travellers. It is said that the building is one of the last Victorian manor houses. Another museum that should be visited by Bournemouth tourists is the Highcliffe Castle. It was built by Lord Stuart de Rothesay in 1830 and is one of the most important surviving houses of the Romantic and Picturesquare style of architecture. The Library galleries provide a marvellous backdrop for history, art and craft exhibitions. The climate in Bournemouth is not as rainy and foggy as we know typical English weather. Especially in summer there are many sunny days, but nevertheless the weather is often unpredictable. Mornings are frequently dismal and moist in summer, however the afternoons are often getting better, the sun comes out and the temperature is getting higher. That is why Bournemouth is a location, which is gladly visited by tourists to take a bath in the mild English Channel. The springs in Bournemouth are also very famous by loopies because of the lenient climate. Of course there are some rainy and windy days but in general the weather is quite fine and all flowering flowers and trees decorate the gardens and parks. The winters are mostly very long and damp in Bournemouth. Snow is quite rare in the city, but nevertheless days are often very cold and frosty. Bournemouth is located in the GMT-zone. For visiters who want to disover Bournemouth all day long it is recommended to buy a so called "Getting About Ticket". With this ticket, one can travel unlimited within Bournemouth, Poole and Christchurch for one day. Many bus operators are offering services within the frame of the "Getting About Ticket". It costs £5.80 for adults and £3.60 for young people up to 18 years. To get from Bournemouth Airport to the city, the Bournemouth International Airport Bus Service can be used, which flaunts services on a regular basis. National Express provides travelling possibilities to London Victoria, Heathrow and Gatwick Airport and many other destinations throughout the UK. There are two train stations in the surrounding, which are located in Bournemouth and Pokesdown. South West Trains, Cross Country Trains and National Rail Enquiries run threw them. If someone wants to plan his or her journey threw Bournemouth very individual, it is recommended to go on www.travelinesw.com. On this website, there are information allocated that help to find the best option to travel in the Southwest of Britain.